The Midnight Freemasons: Happy Thanksgiving! On behalf of the Midnight Freemasons, I'd like to wish you all a very Happy Thanksgiving. 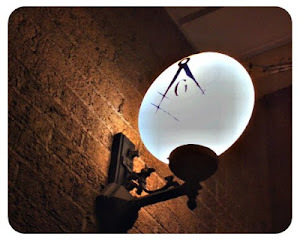 One thing I know we're all thankful for here at the Midnight Freemasons, is for our readers who have made this blog such a success over the last several years. So enjoy this story about Thanksgiving and a famous Freemason. I put this same story up every year. It's becoming a Thanksgiving tradition in itself. And it goes like this . . . The tradition of celebrating the harvest on a Thursday goes back to Plymouth and the Pilgrims. The most famous of these was the three day festival in 1621, when Plymouth governor William Bradford invited local Indians to join the Pilgrims feast. But it wasn't until the 17th century that it became an annual custom. George Washington, issuing the very first Presidential proclamation, declared November 26th, 1789 as a day of national thanksgiving for the United States Constitution. But it never really caught on until 1863, when President Lincoln declared that Thanksgiving would fall on the fourth Thursday of November and the holiday began to be celebrated nationally. Then comes Franklin D. Roosevelt, who decided after 75 years, he wanted to change what Lincoln had established. He proclaimed Thanksgiving as the next to last Thursday of November. Very few liked the change, and there was a huge controversy surrounding it. 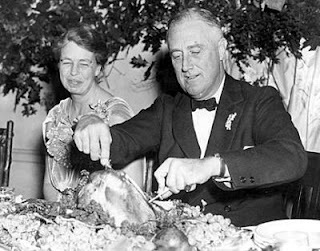 Some Americans simply ignored FDR and celebrated Thanksgiving as they always had on the date they always had. For the next two years, Franklin Roosevelt repeated the unpopular proclamation. Finally, in 1941, Roosevelt gave up on it. He signed a bill into law officially making the fourth Thursday in November the national holiday of Thanksgiving. And we've been celebrating it on that day ever since . . . Likewise. Enjoy your holiday, friends. Happy Thanksgiving to you and yours, Brother.